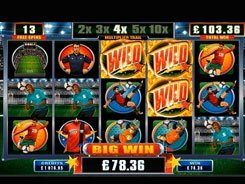 Powered by Microgaming, Sure Win is a 5-reel slot with 25 paylines themed around horse racing. The reels are set against a backdrop of a crowded hippodrome, while all the symbols are based on the theme of the slot. 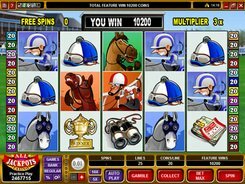 On the reels you will come across binoculars, trophies, jockey caps, horses, jockeys and other related icons. 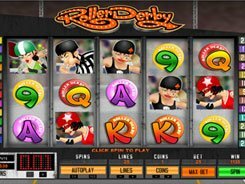 A coin value is configured from $0.01 to $0.25, with a maximum bet of 500 coins per spin. The Sure Win logo is a wild that replaces for other icons to finish a winning payline. Besides, five logos award the top jackpot prize worth $35,000. When the wild logo contributes to a winning combination, a x3 multiplier is applied. 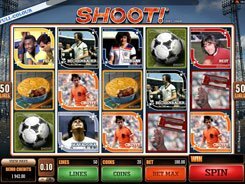 There is a free spins feature unlocked by three or more scatters (the Tipster symbol). You then get to select one of the options: 12 FS at x4, 16 FS at x3 or 24 FS at x2. 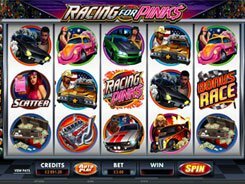 Along with triggering free spins, scatter symbols pay out on their own. Get 2 to 5 scatters, and a win of up to $12,500 will be added to your credit balance. 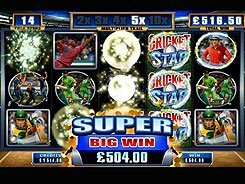 During the free spins you will receive winnings that can reach a massive 560,000 coins.